I got bored and decided to see how compact I could make a maze generation and solving script, and here's the result. It generates a labyrinth of any size (not everything at once, it's more fun this way). Once generated, you can also place down a goal anywhere and the game will find it (eventually). Feel free do mess around with the code but do not claim it as your own if you decide to make anything out of this. 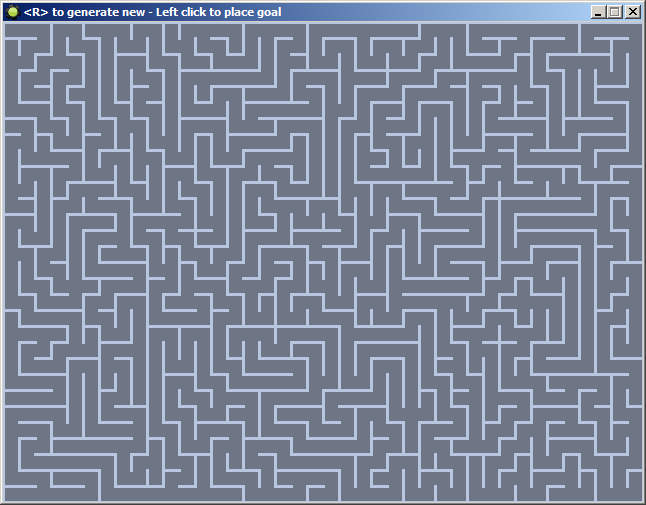 S to set the seed of the maze generator, the same seed results with the exact same maze. Edited by Davve, 18 October 2015 - 02:15 PM. Looks good & does what it says. Only a few changes to make this "usable" as you said, all in all very well done and compact. You can now place down a goal and the game will walk through the maze and find it. It also displays the time it took to reach it. More comments in the code. 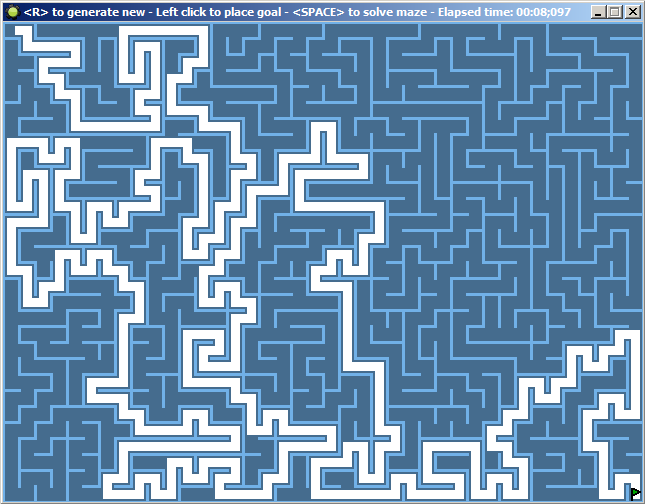 This reminds me of Maze Craze on the Atari2600 or the built-in Maze game on the Sega Master System (yes, I'm old). Anyways, loving it. Nice one Davve, not sure yet how I would use it but it's always there for when something comes to mind. Need to share your GM creations with others? Want some help and need to upload some code or an image? The solving AI now works towards the bottom-right corner because the goal is usually placed there. The generating and solving is now 2 times as fast, you can change this to anything you want, such as 100 times as fast. Edited by Davve, 09 April 2011 - 04:55 PM.